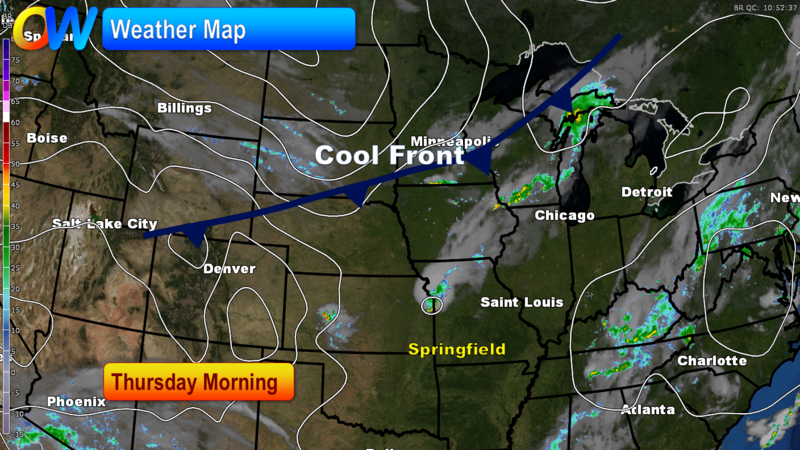 This Labor Day weekend has been a real summer treat for those who don’t want the fall feel quite yet! 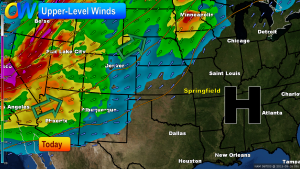 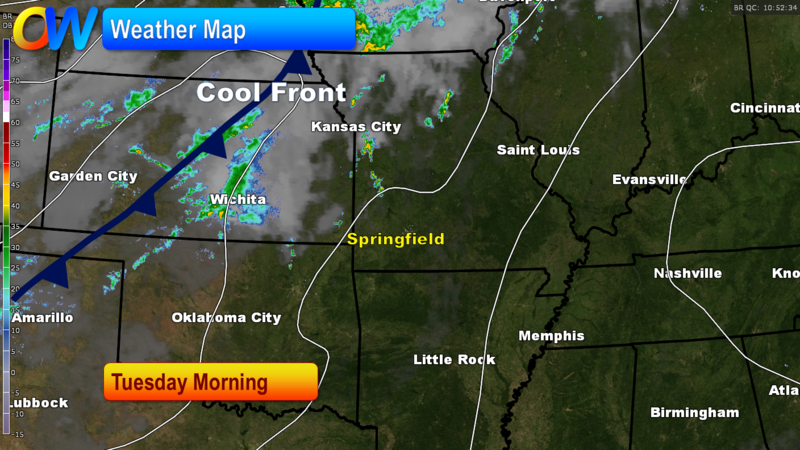 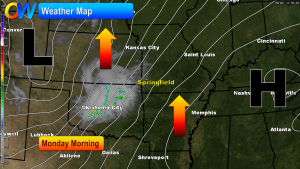 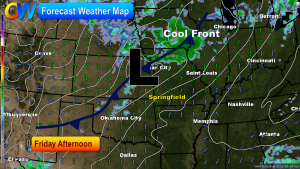 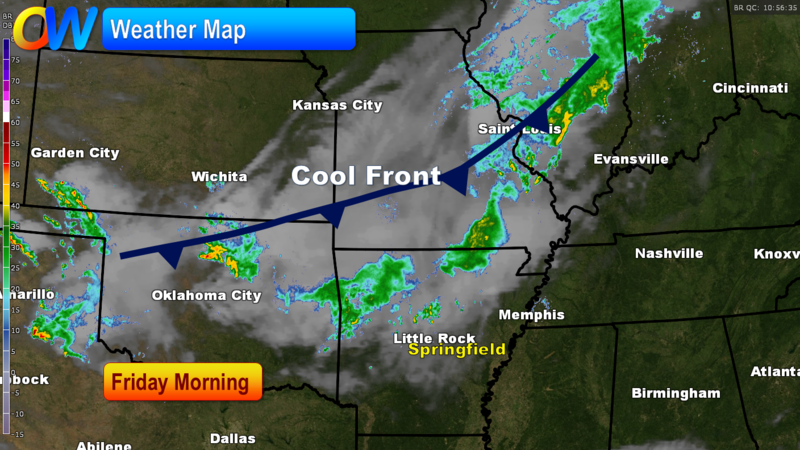 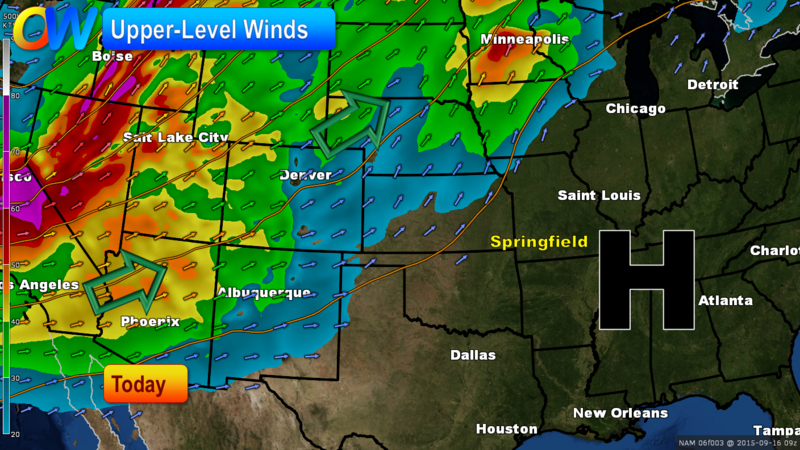 This will all change this week as upper level winds go back to pushing cool fronts through the Ozarks. 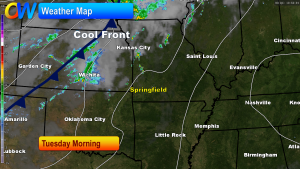 Today will be just about the same as the previous two days namely hot and humid with high temperatures in the lower nineties. By late today, some isolated thunderstorms may begin to pop up. 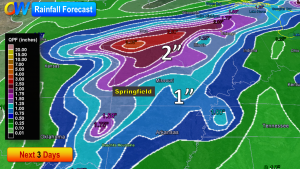 The probability for rain today is still on the low side today. 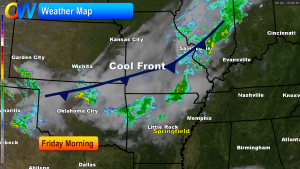 However, a cool front will affect our weather starting on Tuesday with higher rain chances and eventually much cooler weather. 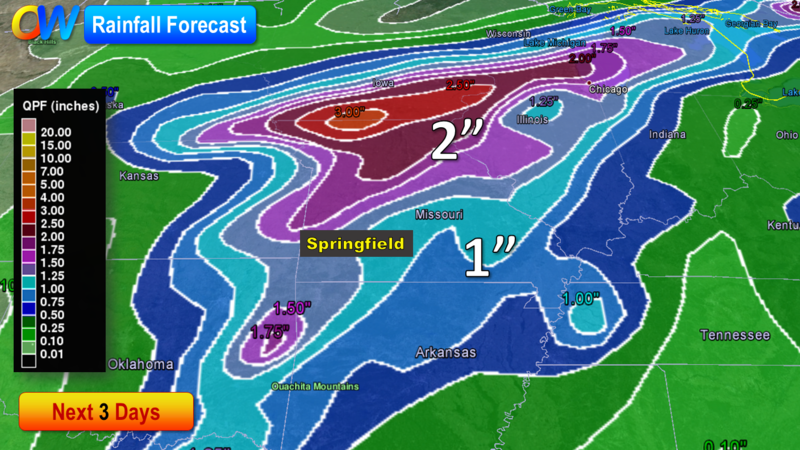 I’m forecasting rain totals on Tuesday and Wednesday to range between 1-2″. 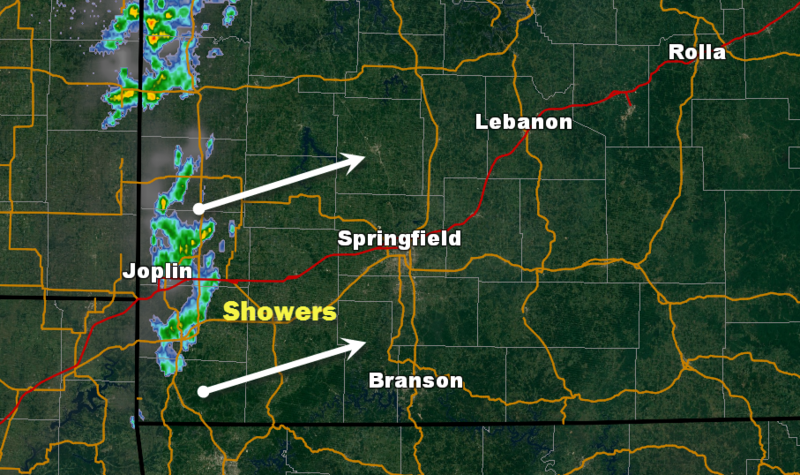 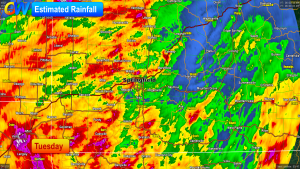 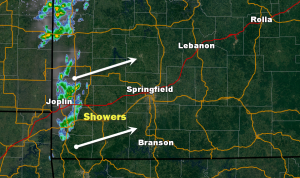 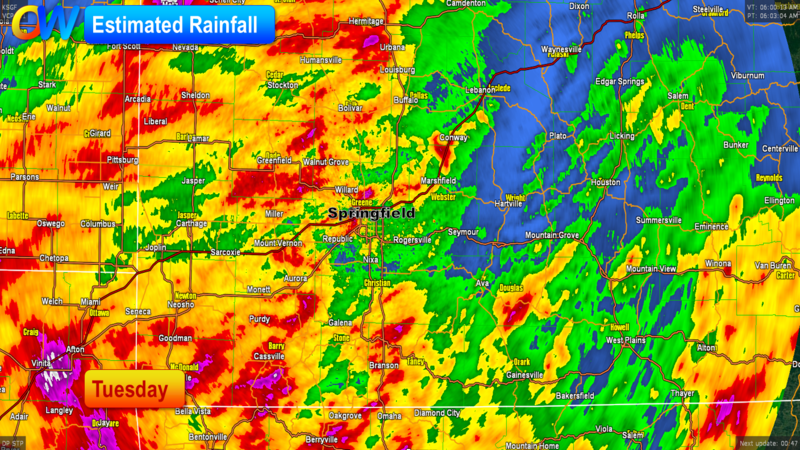 This will be a nice recharge for our rainfall in the Ozarks since we have gone dry as of late. 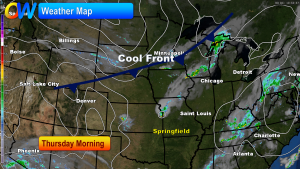 Cooler air will be around for the rest of this week and into the weekend. 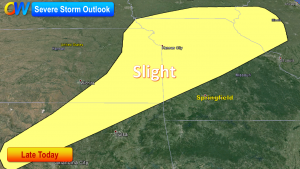 Look for more days with high temperatures in the seventies.